Grace and Ted Chapman are widely regarded as the perfect literary power couple. Ted is a successful novelist and Grace, his wife of twenty years, is beautiful, stylish, carefree, and a wonderful homemaker. But what no one sees, what is churning under the surface, is Ted’s rages. His mood swings. And the precarious house of cards that their lifestyle is built upon. On the surface, Grace and Ted appear to have it all: The family, the money, a beautiful house in an upscale suburb. But when their longtime personal assistant leaves to take care of her mother, Grace becomes overwhelmed with running the household and filling in as Ted’s assistant. It seems like Ted is always in a bad mood and he blames everything on Grace, rather than his own declining career. When they meet Beth, a young woman who is looking for a job as a home organizer and assistant, Grace jumps at the opportunity to hire her. Her performance is nothing less than spectacular, but Beth is too good to be true – in more ways than one. Soon Grace’s perfect world begins to fall apart when a charity event she planned turns into a disaster making her the talk of the town – and not in a good way. She fears she is going crazy as she begins to experience fuzzy memories and mood swings and begins to withdraw from everyone. While this is a fast, easy read, the author doesn’t hesitate to take on a few heavy subjects: Mental illness, the dangers of prescription drugs, and marital problems. 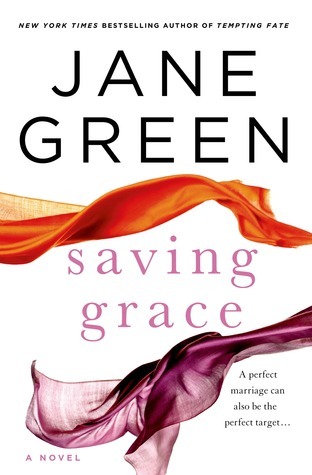 Grace’s fears of inheriting her mother’s bipolar disorder leads her to consult a psychiatrist who over-prescribes potent medications causing Jane to emotionally lose control. The suspense builds as Grace tries to save herself and her sanity. While I would occasionally get annoyed with Grace and felt she was being more than a bit naive, it didn’t detract from a convincing story with mostly realistic, though sometimes flawed, characters. a difficult subject to disucss. thanks for your thoughts. This sounds like an interesting book about heavy subjects. Very nice review, Leslie. It sounds pretty true to life. I enjoy Green’s writing and think I’d enjoy this. I enjoyed this one a lot, too, and agree that the author does not hesitate to tackle issues. I am, coincidentally, reading another of her books today: Tempting Fate. I am enjoying it as well. This is on my TBR list. Sounds good.